24 Frames Per Second - Actresses of the 1950s and 1960s. A Film By - Invites film discussion. A.V. Club - An entertainment newspaper: interviews, reviews. A-BitterSweet-Life - Dedicated to all things that stir creativity and inspire artists and filmmakers while shedding light on cinema as art that engages the audience through an enriching experience. Maintained by Edwin Adrian Nieves, a filmmaker based in New York. Afterimage: The Journal of Media Arts and Cultural Criticism - Features critical articles about the visual arts, photography, independent film and video, new media, and alternative publishing, covering important issues and debates within art history, visual and cultural studies, media studies, and related fields. Ain't It Cool News - Harry Knowlton. Art Margins - Cyber forum for contemporary central and eastern european visual culture: Russia, Poland, Bulgaria, Romania, Germany, Slovenia, Croatia, the Czech Republic. ArtForum: Film - Mmovie eviews and festivalcoverage. Arts Shelf, The - Provide news and reviews on the latest releases in classic cinema, world cinema, specialist art house releases such as opera and theatre, as well as a look at the latest mainstream releases. Big Picture, The - Film zine. Bollywood Online - Bollywood zine. Boxoffice Magazine - Motion picture industry trade magazine. Also see The Vault, the home for nearly 3000 back issues of Boxoffice Magazine. Bright Lights Film Journal - Movie analysis, history, and commentary on classic, commercial, independent, exploitation, and international film. Cahiers du Cinema - French. The legendary French film journal. Camera Obscura - Feminist perspectives on film, television, and visual media. Chicago Reader: Movies - Chicago's alternative weekly. Cineaste - A leading magazine covering the arts and politics of cinema. 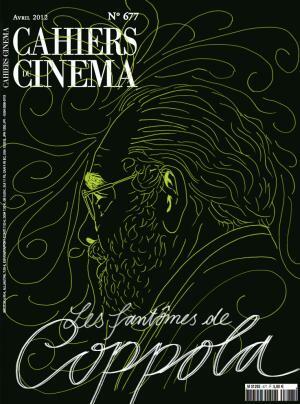 Cinefantastique - Film, television, music, DVD, comics, tech. Cinema Journal - Sponsored by the Society for Cinema and Media Studies, CJ presents recent scholarship by SCS members. Cinema Scope - Film reviews, criticism, news. CinePunked - A fusion of scholarly and popular approaches to film criticism, bringing interactive conversation about film to live audiences. CineVue - UK film site that provides movie news, reviews, previews, events, interviews and film trailers from the world of cinema. Cinima Minima - A news service for movie makers. Its daily news digest covers movie making, digital tools, editing, intellectual property rights, story, sound, acting, and distribution, including film festivals. Cinema Scope - International cinema. Cinebeats - Kimberly Lindbergs' blog "chronicling one woman's love affair with '60s and '70s cinema." Cinefex - The magazine of visual effects, computer graphics, makeup and animatronics for film. Cinema Retro Magazine - Devoted to those great films of the 60's and 70's. Cinema Scope - Canadian film zine. Cinephilia and Beyond - Blog. Cinescape Online - Insider news, movie, television, DVD, and game reviews, book reviews, forums. Coming Soon - Movie, DVD, and video release dates, trailers, reviews, box office, and entertainment news. Criterion Current - Essays, features, clippings, news, press notes, videos, photogalleries, interviews and announcements from Criterion. CubaNow: Cinema - Articles and interviews with Cuban and American filmmakers, actors, producers, festivals, premieres. Deadline Hollywood - Nikki Finke's blog. The native New Yorker and Wellesley College graduate has been reporting from Los Angeles since 1986. Candid, informed and authoritative source for breaking news in the entertainment industry. Defamer - This blog compiles entertainment news and adds a heavy dose of snarky opinion. Agents, producers, studio executives and other power players in Hollywood read it religiously -- largely because it lavishes attention on them. The site's motto is: "Los Angelesis the world's cultural capital. Defamer is the gossip rag it deserves." Diabolique - A lavishly illustrated, bimonthly print and digital magazine exploring every aspect of horror film, literature and art. Digital Bits, The - A source for DVD/Blu-ray industry news, reviews, analysis and expertise, and great place for cinephiles. Documentary Films - Dedicated to the non-fiction film. Electric Sheep - Online magazine for lovers of offbeat, left-field and cult cinema. It celebrates the celluloid dreams of the most outlandish, provocative and visionary directors, the marginal and the transgressive, the poetic and the punk. Empire - UK film web site from the top selling magazine. Experimental Cinema - News and resources about experimental films. Facets Features - Blog from Facets Multi-Media, a non-profit media arts organization which provides an extraordinary range of film and video programs. Facets Front Page - Weekly movie and film industry notes from Facets Video in Chicago, Illinois. Fade In - Movie zine. Film - Danish Film Institute journal. Film (Guardian UK) - Reviews, features, interviews. Film & History - A journal on film and history, published twice a year by the Historians Film Committee, an affiliated society of the American Historical Association since 1970. Film and Media - From Manchester University Press. Film and Video - News, interviews, motion pictures, tele-production, commercials, streaming video, audio, indie. Film Comment - The magazine of the Film Society of Lincoln Center. Covers current art house and independent American and international film, along with features on more esoteric or historical subjects, often tied to the programming at the Walter Reade Theater. Also see Blog and Archive. Film Criticism - Founded in 1976, Film Criticism is the third oldest academic film journal in the country. FC has published the work of such international scholars as Dudley Andrew, David Bordwell, David Cook, Robin Wood, Janet Staiger, Ann Kaplan, Andrew Horton, Wheeler Winston Dixon, Marcia Landy, and Peter Lehman. It continues to present the very best writing from a new generation of film historians, theorists, and critics representing many different disciplines, cultures, and critical perspectives. Film Daily - Connecting audiences with indie filmmakers via news, views and reviews. Film Exposed - Focuses on the best in UK and world independent filmmaking. Film Industry Network - Providing the entertainment community with feature stories on top talent, exclusive interviews, film and music news, video contests and promoted charity initiatives. Its audience consists of working professionals from actors to singers, production companies, PR firms, entertainment industry organizations, institutions and film studios. Film Ink - Australian movie magazine. Film International - Covers film culture as part of the broader culture, history and economy of society. Focuses on longer essays with in-depth analysis, but also provides feature interviews, festival reports and an extensive review section on film books, DVD releases and films at the cinema. Film Inquiry - Film magazine for and by film academics, filmmakers and aficionados. Film Journal - A central Ohio-based, independently produced, online film publication. A forum for eclectic film criticism, study and discussion. Film Journal International - A trade publication covering the motion picture industry, including theatrical exhibition, production, distribution, and allied activities. Though not specifically geared to the consumer (with an emphasis on the business of showing films - projectors, sound systems and popcorn machines, for example) the publication nonetheless offers much value for film lovers: articles on major and independent films and companies, advance reviews of virtually every movie that will hit the big screen, film business news and analysis, and charts of upcoming films. The site includes reviews, guides, features, and industry news. Film Monthly - About film in all its varieties, including video and television. Film Music Zine - Film and TV music industry news. Film-Philosophy - Film and philosophy. Film Quarterly - Published since 1958, provides readers with insightful analyses of film, the film industry, and international cinemas. More than a glimpse behind the scenes, Film Quarterly offers serious film lovers in-depth articles, reviews, and interviews that examine all aspects of film history, film theory, and the impact of film, video, and television on culture and society. Film Score Monthly (FSM) - America's leading magazine about motion picture and television music. Film Stage, The - Up-to-date news, reviews, original features, and extensive film festival coverage with a global film-making perspective. Film Threat - Covers cult films, underground shorts, alternative films, and independent features. Film-Philosophy - A journal and discussion salon promoting a philosophical review of cinema and film studies. Filmfare - News, gossip, box office reports on Indian film. FilmJerk - Film news site devoted to breaking news, script reviews, advance film reviews and interviews. Framework: The Journal of Cinema and Media - British film magazine. Frameworks Mailing List and Archive - An international forum on experimental film, avant-garde film, film as art, film as film, or film as visual poetry; film's expressive qualities, aside from or in addition to its storytelling capacity. Any genre of experimental film, such as film diary, found footage, abstract, flicker, lyric, subversive, expanded, etc., can be discussed, as well as those films which fall into the cracks between the genres, or those not covered by other lists. FutureMovies - Filmmaking and movie reviews. GreenCine Daily - Cinema, indie, arthouse, festival news. Greatest Films - Descriptive review commentary and historical background for hundreds of classic Hollywood and other American films. Guardian: Film - Film news. Hell on Frisco Bay - SF Bay Area film blog. Hollywood - Movies, movie showtimes, movie tickets, entertainment news, celebrity gossip, movie trailers, box office, celebrity interviews and TV listings. Hollywood Elsewhere - Jeffrey Wells. Hollywood Reporter, The - Film and television trade news. Hot Button, The - David Poland. Images: A Journal of Film and Popular Culture - Movies, television, video, and other visual arts. indieWIRE - A leading voice for Independent film. Also see indieWIRE Blogs. iofilm - UK film ezine continues to provides daily film and DVD reviews, features, interviews, competitions, festivals coverage and articles on filmmaking. I Write the Music - On musical composition. It's the Pictures that Got Small - David Paris' pictoral blog for all things retro. Joan's Digest: A Film Quarterly - Feminist film quarterly. Journal of Film and Video (JFV) - An internationally respected forum, focuses on scholarship in the fields of film and video production, history, theory, criticism, and aesthetics. Journal of Film Music - International Film Music Society journal. Jump Cut - A review of contemporary media. Publishes material on film, television, video and related media and cultural analysis . Kinoeye - A fortnightly journal of film in new Europe. Kip's American Graffiti Blog - Kip Pullman's American Graffiti Blog is the most successful world wide web tribute to the 1973 film classic, containing an enormous wealth of accurate and well-researched information on the film. Koreanfilm - Provides an overview of films, issues, people, and events shaping the film community in Korea. Kung Fu Cinema - Martial arts movie news and review source. 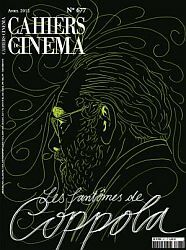 La furia umana - Online Italian multilingual quarterly of theory and history of cinema. LOLA - Co-edited by Adrian Martin and Girish Shambu. Lumière Reader, The - New Zealand's leading online journal of film criticism and the arts review. Lux Online - Devoted to British film and video artists. Streaming video clips, new writings, past articles and biographies provide a comprehensive contextual background to the artists featured on the site. Masters of Cinema - Film and DVD news. Midnight Eye - Japanese cinema: interviews, features, film reviews, book reviews, calendar. MGM Video Savant - Writing about subjects all over the video spectrum, using MGM's vast library of popular movies as a springboard. Millennium Film Journal (MFJ) - Since 1978 the MFJ has published articles about independent, experimental, and avant-garde cinema, video, and, more recently, works that use the newer technologies. Miss Liberty's FIlm and TV World - Information on libertarian films, videos, and TV programs. Mix - A leading agazine for the professional recording and sound production technology industry. Mix covers a wide range of topics including: recording, live sound and production, broadcast production, audio for film and video, and music technology. Mobius Home Video Forum - Discussion for the film and home video enthusiast. Montreal Film Journal - Movie reviews and articles. Movie City News - Movie and film industry news. Movieline - Reviews, features, forum. MovieMaker Magazine - Part of the IndieNetwork. MovieWeb - Movie reviews, previews, press kits, and movie photos. New York Times: Movies - Film news and reviews. Also see Awards Season page. Nerve: Movies - Movie news, reviews, interviews. Notebook - A digital magazine of international cinema and film culture. Off Screen - Canadian film journal on world cinema. Premiere Online - Interactive movie magazine. Rediff - India's largest news and entertainment service online. Reverse Shot - A quarterly, independently published film journal. Rope of Silicon - New movie news, trailers, reviews, Oscar coverage and previews for movies coming soon to theaters and on DVD and Blu-ray. Rouge - Articles on directors ranging from Alain Resnais to Tsai Ming-liang. Scene4 - International magazine of theatre, film and media. Scope: An Online Journal of Film Studies - Edited by staff and students within the Institute of Film Studies at the University of Nottingham. Scouting New York - Blog from Nick Carr, a a New York City movie location scout. Screen - Entertainment in India. Screen Daily,com - Europe's first daily news service for the global film industry, generated by the team that publishes Screen International. Screen Digest - Global intelligence on film, cinema, television, video, interactive leisure software, and the Internet. Screen International - News, comprehensive statistics and in-depth analysis of the issues shaping the international film business every week. Screen Rant - Movie news, reviews, trailers; TV news. Screening the Past - Journal of visual media and history. Senses of Cinema - Serious and eclectic discussion of cinema, of art, independent and experimental cinemas. Shoot Online - Commercial production and postproduction. Shut Up and Deal - A personal move scrapbook assembled by Clarissa Saunders. Sight and Sound - World cinema coverage and informed commentary. sixmartinis and the seventh art - Avante-garde film blog. Slant Magazine - Webzine featuring reviews and articles on current and classic film and music, interviews, album chart information, box office predictions and DVD coverage. SolPix - Cultural and media criticism, film reviews, picks, and interviews with movers and shakers in the indie film industry. Some Came Running - Movies, directors, criticism. Strictly Film School - Dedicated to the analysis of landmark world cinema from an academic perspective: universal themes, symbols and imagery, historic context and artistic genres. Synoptique - An online journal of film and moving image studies, be it aesthetic, film history, technology or theory. theTalkhouse: Film - Filmmakers talk film. TheMovieTimes - World premieres, world box office, film festival information, and listings for over 30 countries. Total Film - Guide to movies. Total Movie - Written by 100% pure film fanatics. Undercurrent - A magazine of and on film criticism, is a bimonthly publication of The International Federation of Film Critics (FIPRESCI). uniFrance Films - Latest news about French cinema and uniFrance. Variety - Premier source of entertainment industry news. Velvet Light Trap - Collectively edited by graduate students at the University of Wisconsin at Madison and The University of Texas at Austin, with the support of media scholars at those institutions and throughout the country. Verdoux - Passion for moving images. Vertigo - Established in 1993 to promote and discuss independent film and cinema culture, aimed alike to audiences, academics and practitioners. Weirdland - "Taking a walk on the filmic side, transiting the vintage roads." Wholphin - A quarterly DVD magazine published by McSweeney's. Each issue of Wholphin contains a variety of extraordinary short films, docs, instructional videos, foreign sitcoms, and other cinema hybrids that deserve to be seen on very expensive televisions. Wide Angle - Scholarship in film studies. Examines international film, the history and aesthetics of film, and more. Wrap, The - Entertainment industry analysis; breaking Hollywood news. Written By - Magazine of the Writers Guild of America. Yahoo! Movies - Entertainment news, gossip, movie reviews, shhowtimes, tickets, film festival coverage. This webpage last updated on Monday, January 21, 2019 1:21 PM.